Apply to entire face, neck, décolleté, and hands. May be followed by IGY-Oatmeal Nourishing Cream if needed. Boosts and protects epidermal cells. Repairing and protecting results are notable in as little as two weeks of daily use. IGY- Healing Serum contains a special blend of natural plant extracts known for their healing, soothing, anti-inflammatory and anti-microbial components, combined to be the long expected therapeutic effect to damaged, irritated, and sensitive skin. This natural complex is crafted especially to protect and nourish mature, dry, reactive, and sensitive skin types. 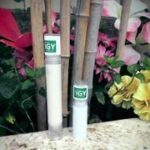 IGY – Healing Serum calms and soothes your skin while also protecting and renewing the skin moisture barriers. It will leave a slight protective barrier on your skin, to provide a longer lasting moisturizing result. Properties: Anti-inflammatory, antibacterial, anti-viral, antiseptic, tonic, moisturizing, soothing, restoring, regenerating, and healing. •	Apply to clean skin on face and neck area before going to bed . 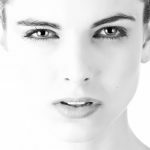 Be the first to review “IGY – Healing Serum” Click here to cancel reply.